The first thing you will notice is the redesigned homepage. 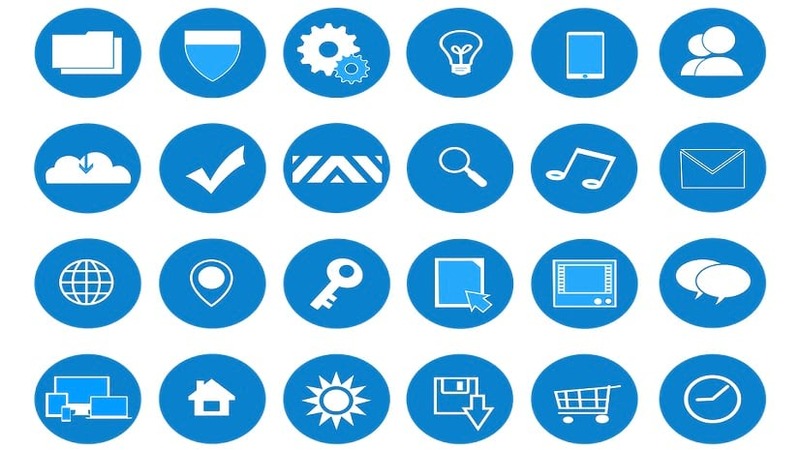 Not only does it offer a more visually appealing user experience, but it has also been restructured to allow developers to quickly find what they are looking for, and learn more about the API’s capabilities and available resources. 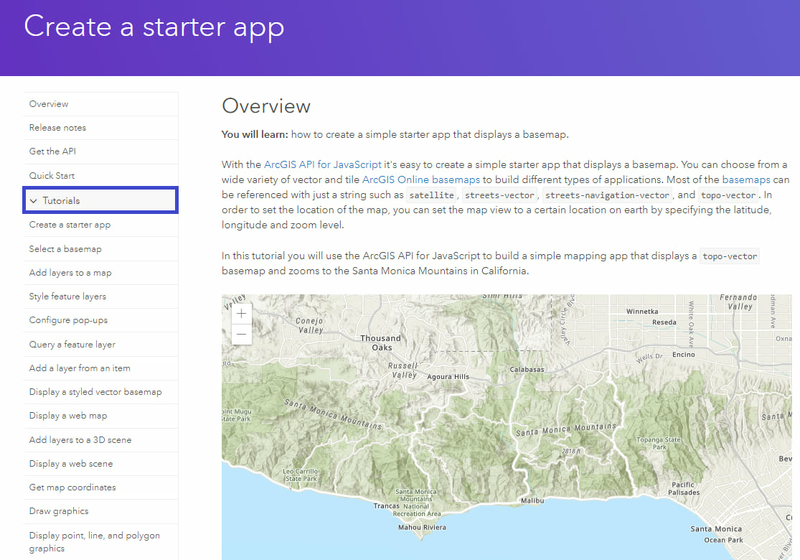 New developers that want to hit the ground running can begin with the new Quick Start page, which outlines how to build a Hello World app in three easy steps. The tutorials are different from the samples in that they are step-by-step instructional guides for building specific functionality using CodePen. 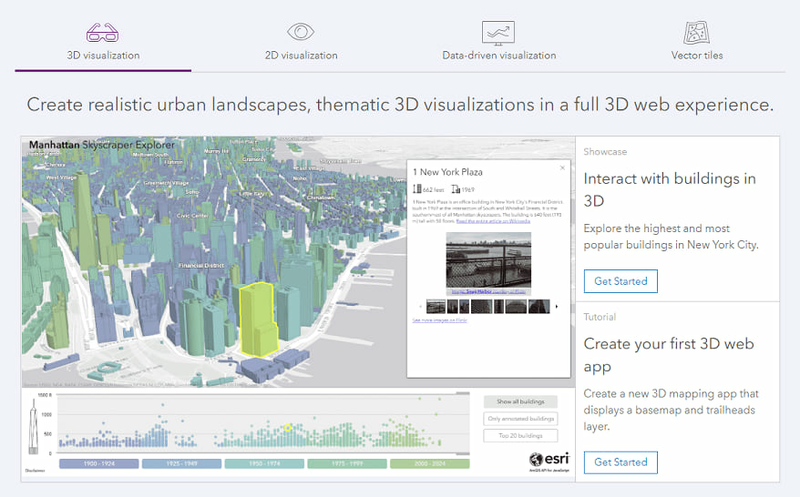 They also contain explanations and links to relevant bits of information about other areas within the ArcGIS platform (e.g. 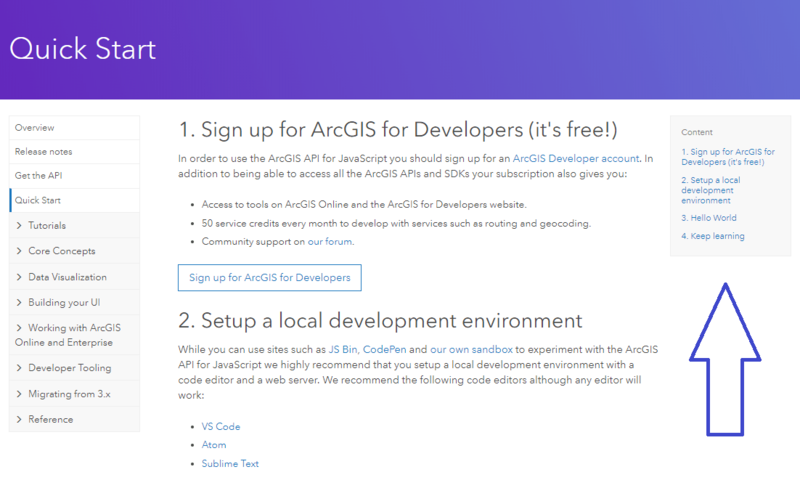 ArcGIS Online, REST API, etc.). There are currently 22 tutorials to explore. It provides a conceptual overview of API fundamentals with useful code snippets and links to relevant information within the site where you can learn more about a particular topic. Even if you’re already developing with the latest version of the API, this section of the Guide is worth reviewing. 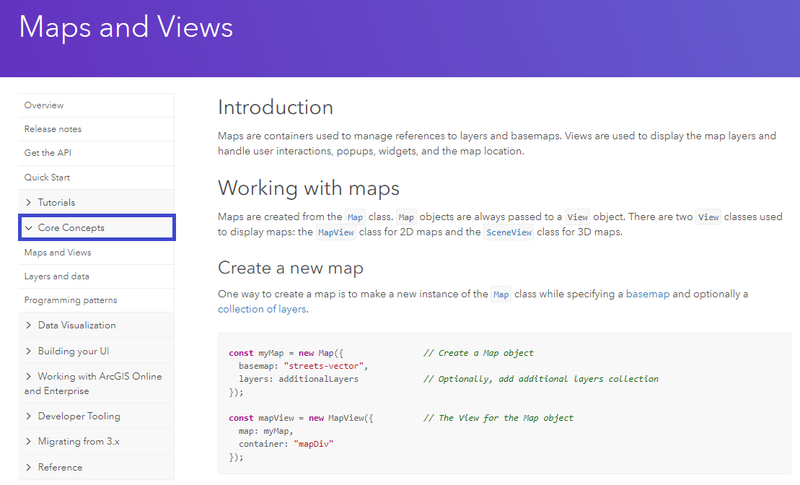 In the Sample Code section, we made two significant updates to the sandbox. 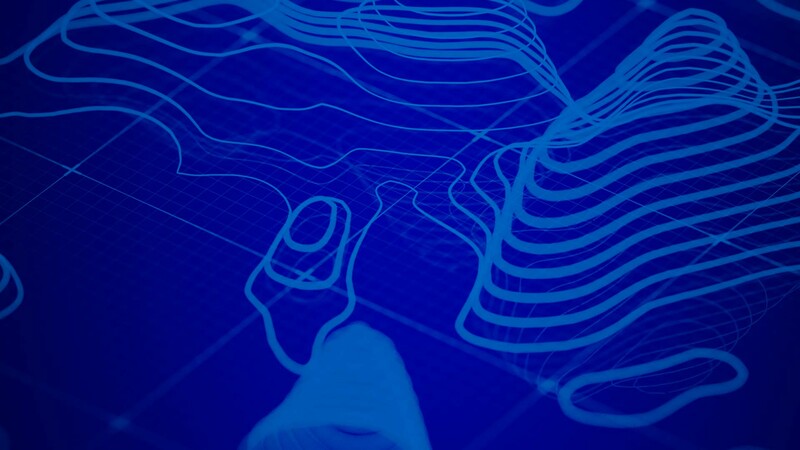 First, portalItems and Esri modules are clickable, and link to their respective documentation or item page in ArcGIS Online. 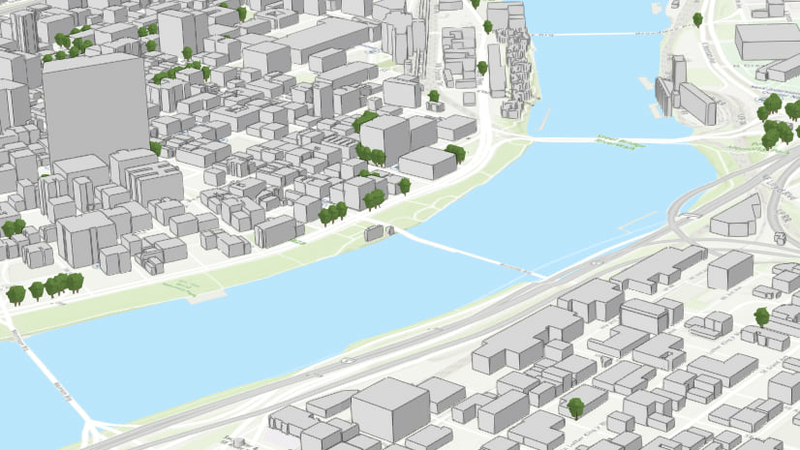 Now, anytime you look at a sample in the sandbox, you can easily find the documentation for the classes being imported, and quickly review the ArcGIS Online items being referenced, which are huge time savers. Second, we are leveraging local storage in the browser for changes made to samples in this environment. 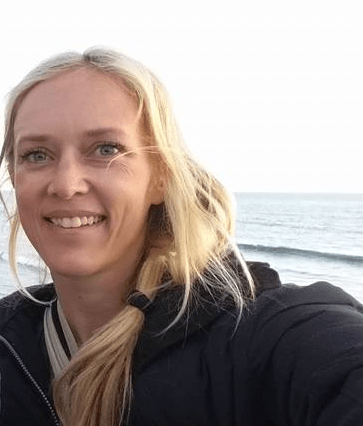 If a change is made, the sample from local storage will always be loaded until the user deletes the local copy using the revert to the original link. This link is only displayed when a sample is loaded from the browser’s local storage. So don’t worry about losing all your testing changes if you accidentally click the browser’s refresh button; we got you covered. 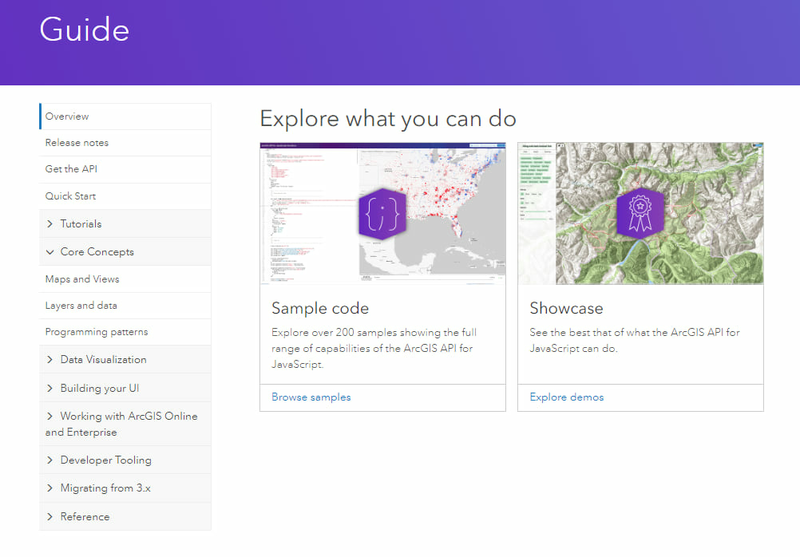 The Showcase page is brand new, and features a collection of apps that demonstrate some of the powerful capabilities of the API. 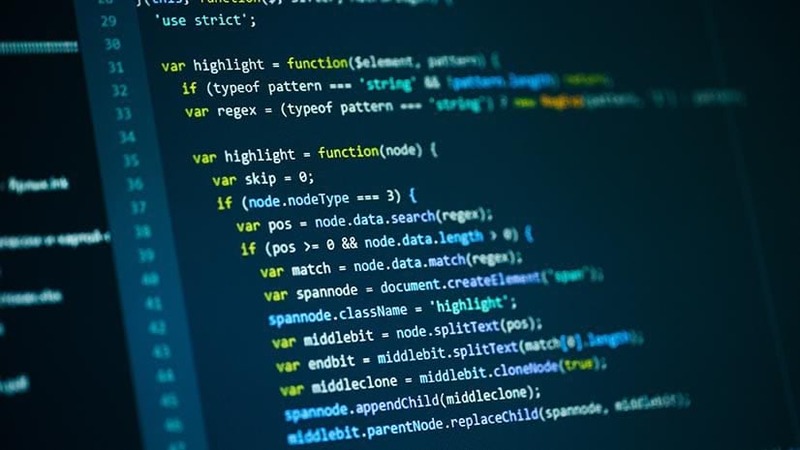 Each app has a link to the code in GitHub, a brief explanation of the technology that powers the app under the hood, and links to where you can learn how to build the same capabilities into your own project. The Showcase currently features three apps and will continue to grow over time. We recently introduced a new Support page at an earlier version. 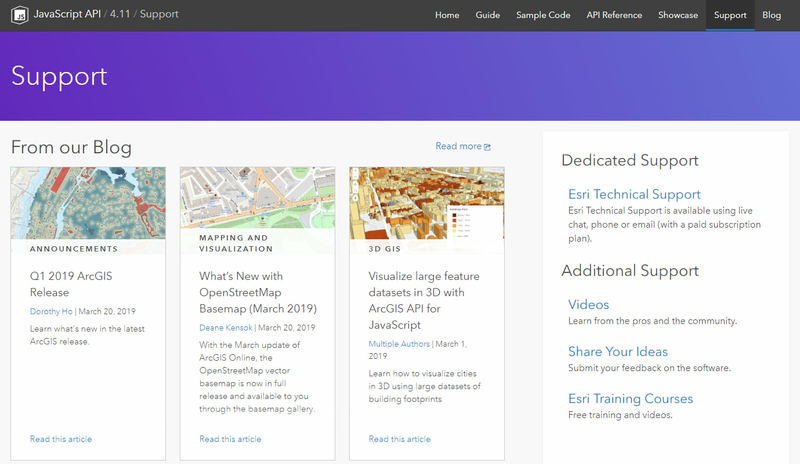 This is a great spot for finding additional resources to assist with your development; for example recent blogs, free training and videos, and a link to Esri Technical Support. You can also find relevant online communities where we (and our users) are active.